One of the dreams I had long before we even conceived was to carry my tiny newborn in a sling strapped to my chest. I imagined how it'd feel to have something so tiny and precious, the very being of your dreams, bundled up asleep on your chest, safe, secure and loved. I used to spend hours looking at different slings, deliberating over styles and types and designs. 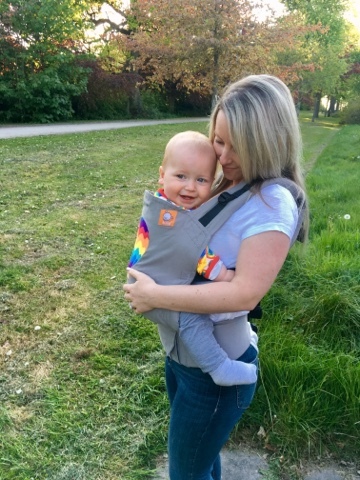 When my sister adopted her little girl I bought her a toddler carrier as an adoption present, keen to inspire a love of baby wearing in her too, desperate for her to feel the bond that carrying your baby with you inevitably brings. One of the things I love now is that something that was once reserved for "earth mothers" is now so mainstream. 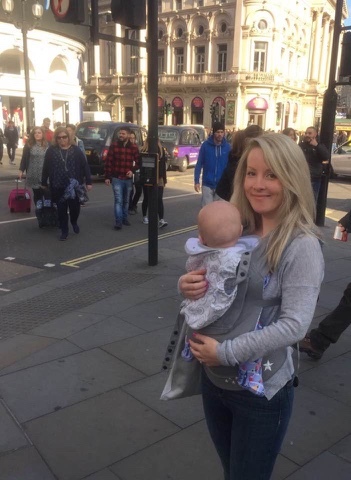 It is as normal to see a woman carrying her baby in a sling as it is to see her pushing a pram. And of course with a change of attitude in society must come an explosion of even more available types and styles of carrier. 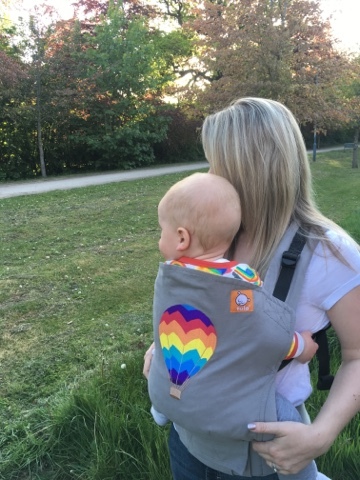 So if you always fancied giving baby wearing a go, but have never quite known where to start, in honour of it being European Baby Wearing Week, I thought I would take you through our journey, from newborn, to carrying a (very almost) toddler. In the beginning i had just had a c-section, and Sarah was off work. 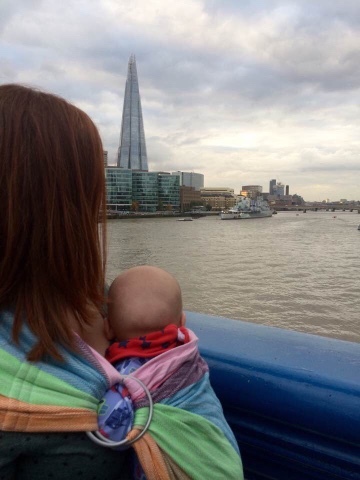 We fully believe in the principles of attachment parenting, and thus, we never put Oskar down. He spent pretty much every moment of his life in our arms up until a few months old. This meant that we passed him between us, he lay in our arms and on our chests day and night, so we didn't actually have that much use for a sling, apart from on walks. 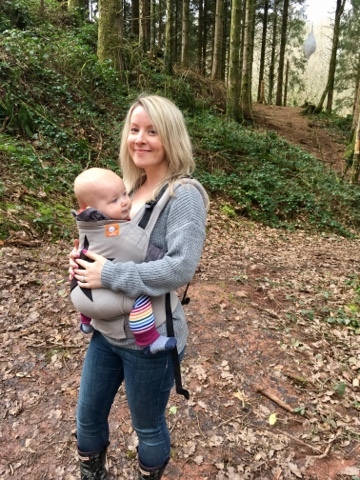 We used the first carrier we ever purchased, an Ergo, which we had bought from The Baby Show. However, although we were happy enough with it, we always planned to try others out, and find something a little more comfortable. That was, until Oskar was 6 weeks old and Sarah had to return to work. Suddenly there were just my arms, and that meant i couldn't do anything at all for myself, even make myself a cup of tea, and suddenly, I need the sling like never before. In the beginning we used a stretchy wrap, as it cocooned him beautifully, and was incredibly comfortable for me to wear too. 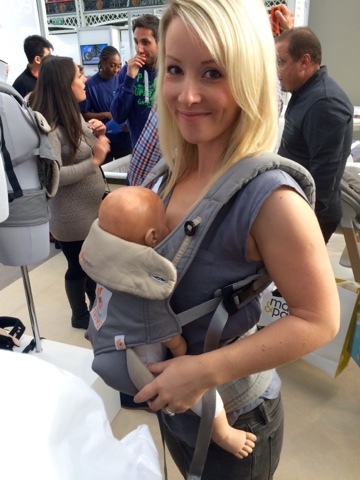 Brands such as the Close Caboo, Boba Stretchy and Moby wrap all fit in to this category. A little tricky to put on at first, all that material seems never ending, but once you've done it once or twice it becomes second nature. 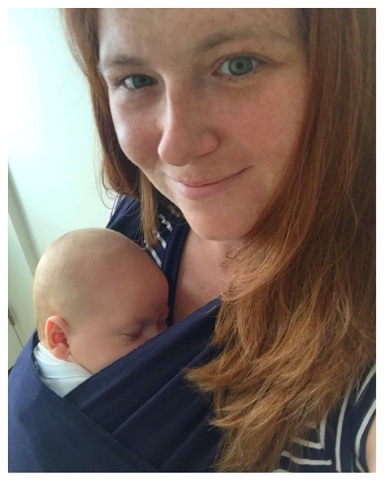 Oskar spent hours asleep in the stretchy wrap in the early days, meaning I could easily walk willow, do a bit of housework, or even just make myself some tea and toast! From 6 weeks to about 4 months old, we used the stretchy wrap every single day. He seemed to change quite a lot around then, and began to get used to being on his own while playing etc a little more. Therefore I needed something really quick and easy for the moments I needed my hands free and he needed me. 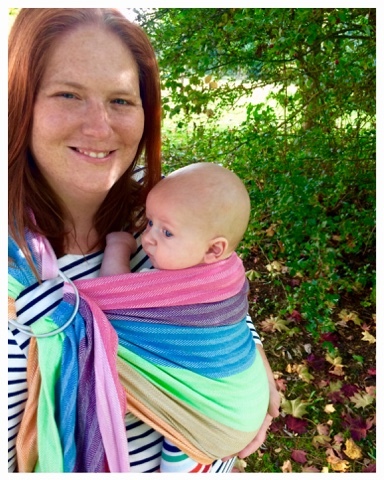 We went to a sling library to see what was available, and came home with a ring sling, which was perfect. No standing and folding and tying involved, just over your head, under baby's bum, and pull tight. For the two months we had it we loved it. So easy to use, so quick to adjust, and again it meant i could get on with the things I needed to do, and Oskar was happy to be tucked up with me. 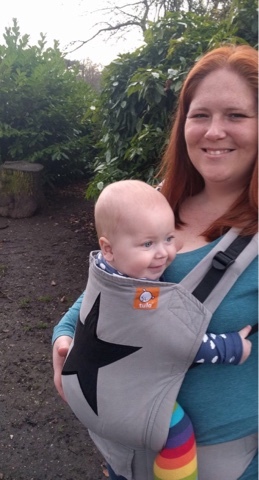 Many people continue to use ring slings for older babies and toddlers but we began to feel we needed something else, so did a bit of experimenting. 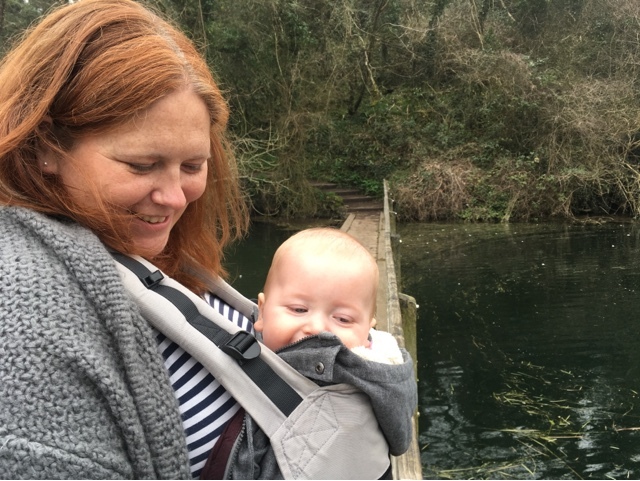 We tried two different types of mei tai, which is a bit of a hybrid between a structured carrier and a wrap, with a soft body piece and four long straps that are tied to secure the baby in place. Both were ok, but not quite the supportive carrier we were looking for to take us in to toddler hood. So now we use a soft structured carrier. The most popular would be the Tula, but we also love the Caboo DX Go, for it's versatility and easy use. 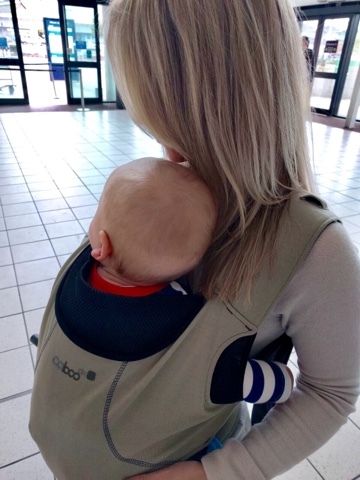 Soft structured carriers have a main seat panel, a waist strap and two shoulder straps. They kind of go on like a backpack, and the baby sits in the main body. Even more appealing, you can wear them in your front or back. We initially borrowed a Tula from a friend but loved it so much we bought our own, and let me tell you, we use it ever single day, often many times a day. If I am going to walk the dog, nipping in to the supermarket, doing the hoovering (Oskar has decided he hates the hoover and must be carried while you do it! ), cooking and he needs attention, if we are going out for the day we take the sling. They are absolutely worth their weight in gold! 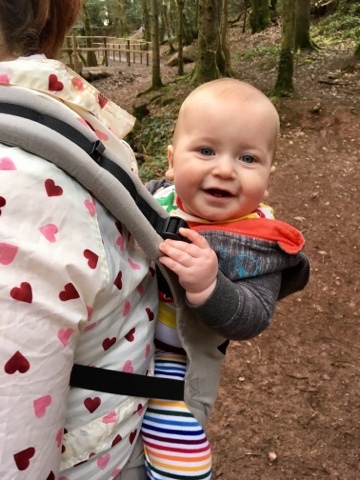 We have been away for the weekend and not taken the pram, we have been for walks for hours and hours and not been uncomfortable with carrying him. They really are brilliant! And of course most importantly at all, Oskar loves being 'worn'. He starts getting excited and flapping his arms when one of us gets the carrier out! He knows he is going to be close to us, so we can talk to him, point out things we can see, sing him songs and laugh with him. And his new trick, reaching up to put kisses on us while sitting in the carrier, heart melting moment! 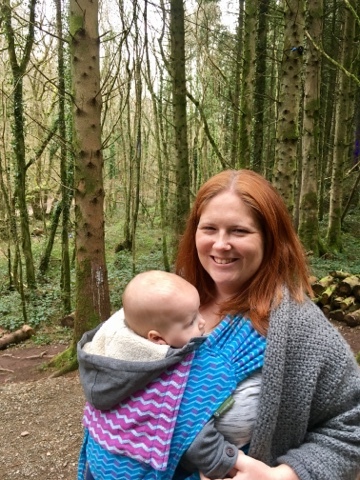 For me, baby wearing really is a dream come true. I have so much pride being out and about with my beautiful boy safely held on my chest in a gorgeous carrier. 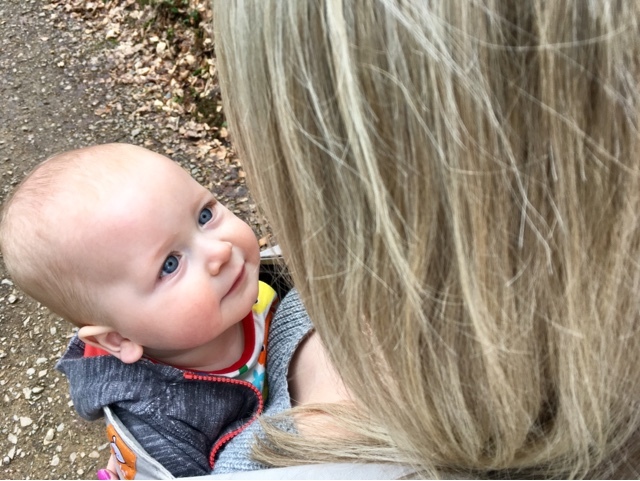 I think I'll be a little sad when he finally gets round to walking, and doesn't want to be held all the time! 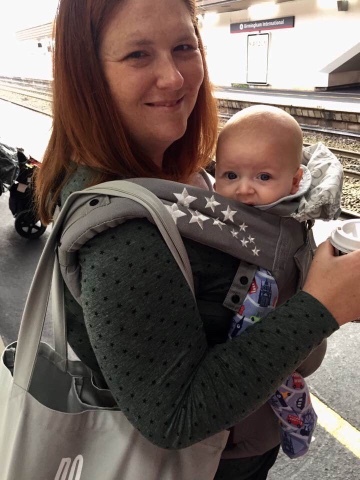 If you are interested in baby wearing but don't really know where to start, Babi Pur offer a free no obligation sling consultation, along with stocking a huge range of slings and carriers. 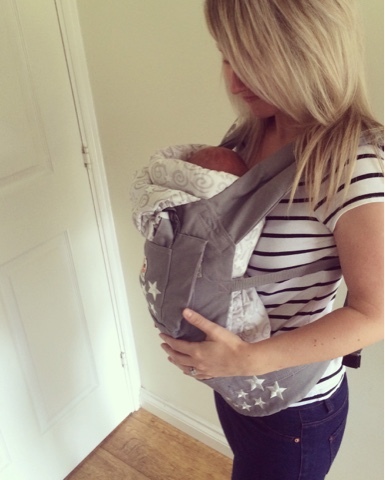 Use code BUDDY to get a lovely 10% off full price (excluding the Tula range). All brands mentioned here apart from Ergo are stocked by Babi Pur and we are supporting them during European Baby Wearing Week. However, all slings and carriers featured here were purchased by ourselves. For more information, click here.